I cant help but comment on the EVO Andreas Preuninger991 Gt3 'interview' over the 991 Gt3. It reminded me of the glowing 997 3.8 Gt3 RS interview walking around the grey and red RS. I went and found my 'old' 2010 magazines and i quote the May 2010 Top Gear magazine where the white 3.8 GT3 RS is tested. I quote Andreas in this magazine " Grandma's can use paddles. They are not challenging'. What has changed between 2010 and 2013? I bought a new 997 Gt3 Rs 3.8 that is grey and red and was surprised to hear that it was so soon 'old news' with the release of the 4 litre and this too is now old news with the 991 gt3. I fast learnt when the 4 litre came on to the market that we will be told whatever we need to be told. As addicts to the brand we will far too easily lap it up. but..yet again..we're reaching conclusions...without having driven the damn thing..
AP really said that: " Grandma's can use paddles. They are not challenging'. Can you scan this ..? Cant believe it..tomorrow he will tell us that pink 991 GT3s will be faster then white ones..just to get more pink ones sold..
PS: didnt he say - "Im not a marketing guy.. The "revving to 9k" and 10k tacho are turning out to be just sad marketing gimmicks - see the 991 gt3 dyno figures. Hi Scary and welcome! Yep, your sentiments are shared by many... Myself included. 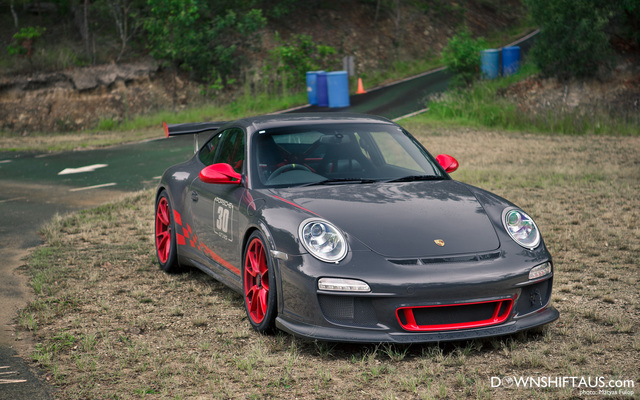 Your car has proven its worthy of the GT3 badge... The new car can't claim the same just yet! I brought this up in the other AP thread. "Grandmas can use paddles. They aren't challenging"
"The manual gearbox in the GT3 is the best match for the purist." From 06 March 2013 interview he said in this interview when talking about why they choose PDK. "And on a race track the PDK gains three-quarters of a car length with every shift, so after a long straight you’re ahead of the other car and can turn-in in front of him." To me that is fine, PDK is faster but really do I care. No I'd rather lose the car length and enjoy beating my own drum. After all the GT3 is about having the rawest version of the latest generation car and keeping it the most involving experience, It not about racing. I am waiting to see the specs of the Turbo and if it's offered in manual, based of the C4S chassis I am expecting it to also to be the lightest water cooled Turbo ever and with the GT3 weight now at 3150 lbs. I'm guessing it to be very close in weight and a lot of the gizmos as pay for options. Look, no doubt this car would blow my socks off - well beyond my skills and physical capabilities to even appreciate the level of performance it offers. With a bit of luck and some german engineering this new mass produced engine might turn out to be the "next" Mezger. Who knows? But the released dyno figures severely diluted my Porsche kool-aid. Maybe he just becomes a grandpa, who knows. That is really all he is - he is only fooling some of the people. GT3 and RS' always had the cup car engine. They can do anything they want with the GT3 as long as they run the same engine in the race car. I think this is all we want. I know the game has moved on but is this too much to ask?